The album itself- Nothing is Wrong, is a timeless rock n' roll record, full of fresh takes on warm, vintage sound. 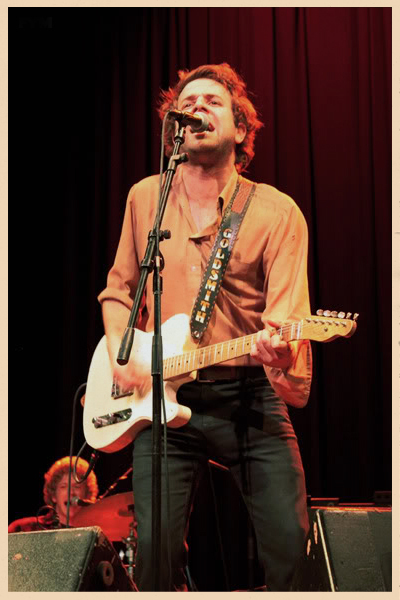 Lyrically, Taylor Goldsmith is an incredible storyteller -winding a cannery row of vivid tales, mixed emotions, and honest common-man fire into a boundless undeniably relatable album... We truly can't wait to hear these tunes live again. 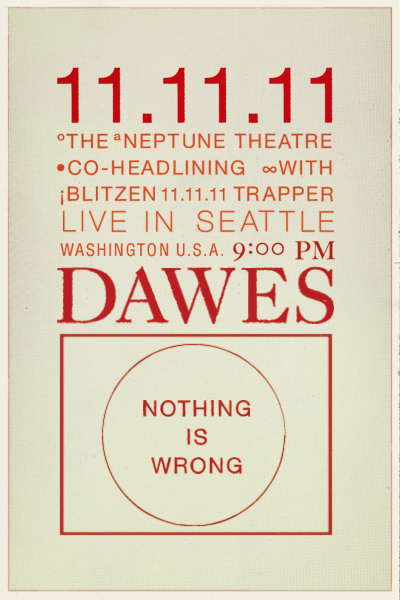 FYM hopes to see you next Friday in Seattle for Dawes/Blitzen Trapper at The Neptune Theatre, for ticket information click HERE. Cheers, FYM.